Mix together the tuna, mayo, soy sauce and Sriracha. 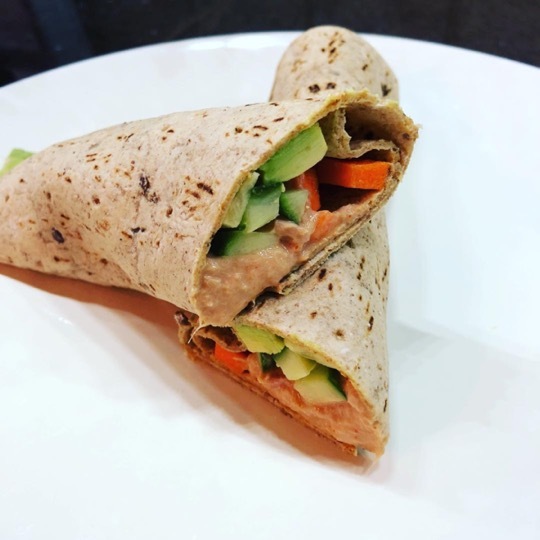 Divide the tuna mix in between the two wraps. Divide the veggies between the two wraps.